Pennies For Democracy is a locally-driven grassroots fundraiser to be held in the months leading up to the November 2010 election. The purpose is to raise awareness of the threat of big money to democracy –while raising money for participating groups to do voter engagement. The campaign kicked off with a penny drive in front of the Supreme Court on June 21, 2010 (the five-month anniversary of the Citizens United decision that corporate funding of independent political broadcasts during elections cannot be limited under the First Amendment). 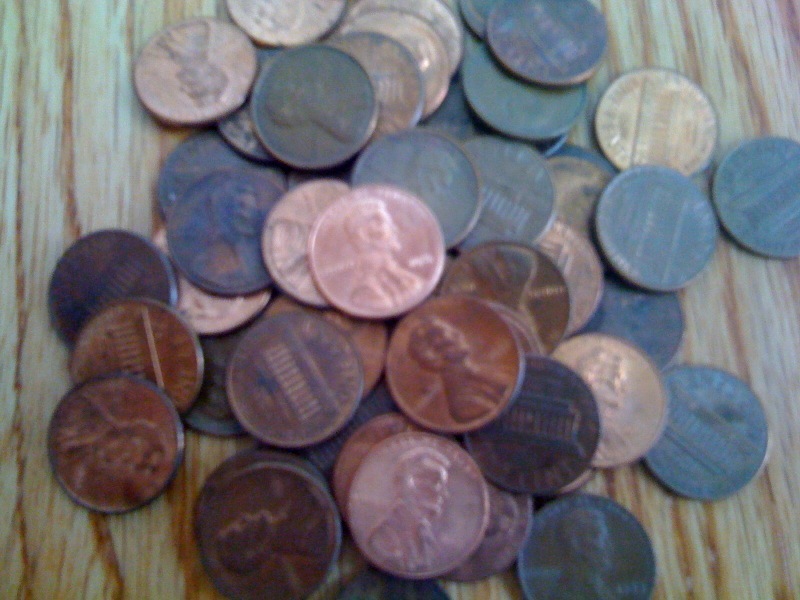 Next, we’ll organize local penny drive actions outside of congressional offices during the August recess and at participating local businesses. People will collect and bring jars of pennies as a way to show the power of ordinary people to counter big money. Funds will be collected locally, deposited at local banks, donated in a structured fashion online, and then re-distributed to participating groups and voter campaigns that hold politicians accountable for fixing our broken democracy. For more information, please contact Billy Wimsatt: 646-346-0248 (cell), billywimsatt@gmail.com. This site is under construction. We will be adding a donate button, an Organize a local Penny Drive event tool, posting videos, hosting Local Organizer calls, selling t-shirts, etc. If you are serious about getting involved, please check back here in a few weeks or better yet drop me an email directly at: billywimsatt@gmail.com, or call 646-346-0248. I don’t have anything against Republicans as people. I have met too many wonderful, kind, intelligent Republicans who picked me up along the side of the road, fed me, treated me kindly, and gave me a place to stay. But I do get very angry at our current Republican leadership in Congress sometimes. And it’s not because I don’t agree with a lot of their critiques. I’m afraid of the national debt too. I think government is inefficient too. But while Republican (and corporate Democrat) politicians and talk show hosts present themselves as the beer drinking friend of the common man, their actual policies like Citizens United are driven more by the short-sighted greed of corporate elites. I consider myself an independent, although I usually hold my nose and vote for Democrats. I am also mad at most Democrats most of the time. Most of them are afraid to challenge the prison industrial complex which spends $30,000 a year locking up non-violent drug addicts who can’t afford a good lawyer. That’s wrong and it’s a waste of our money. Most Democrats are afraid to challenge the military-industrial complex which gives the Pentagon billions of dollars more than it asks for every year to support more than military bases in 135 countries around the world. Do we really need 700 military bases in 135 countries? Do ya think we could get by with 300? Rome fell for a reason. It over-extended itself, squandered its national wealth on war and empire, and made too many enemies. I am very afraid that we are headed down the same path. Elitism, arrogance and waste in any form makes my blood boil. I believe that we are all God’s children, that God loves all of us equally and none of us has any reason to think we are better than anyone else. I believe that arrogance clouds good judgment. And waste is something we cannot afford.